This time I wanted to create an interactive card so….what is better and more fun than a shaker card? I used my MISTI to stamp Winter Friends in the same exact position on two A6 panels. One for the front layer (base + globe shape) and the other for the joyful inner scene. 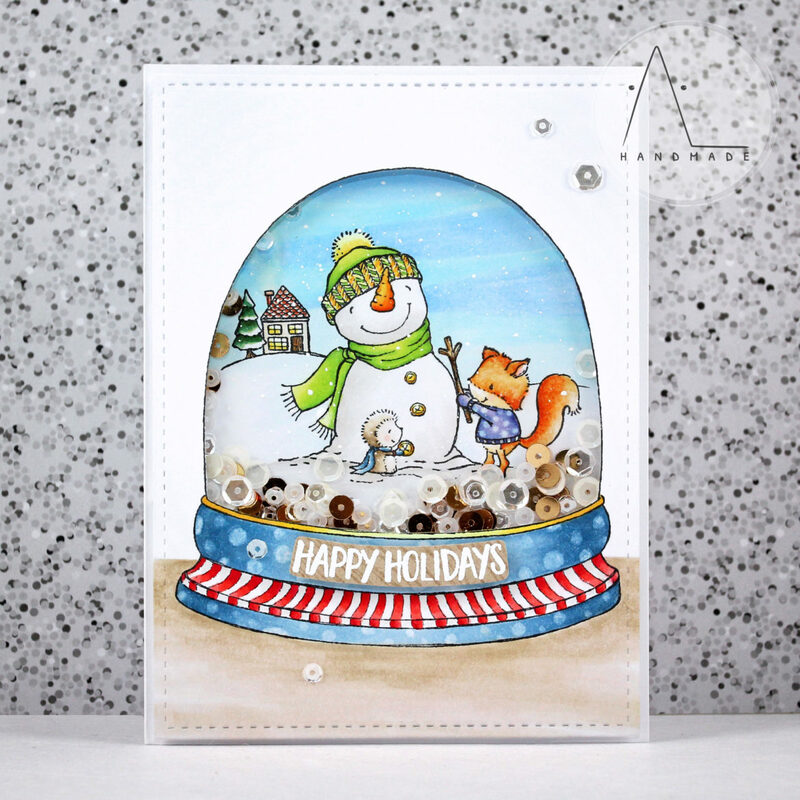 I colored my images with Copics adding white splatters on the inner panel to create a snow falling effect. To create the shaker element, I fussy cut off the globe from my front panel and replaced it with a piece of acetate. Then I added some sparkling clear, white and bronze sequins over my background and foam mounted the front panel on it. 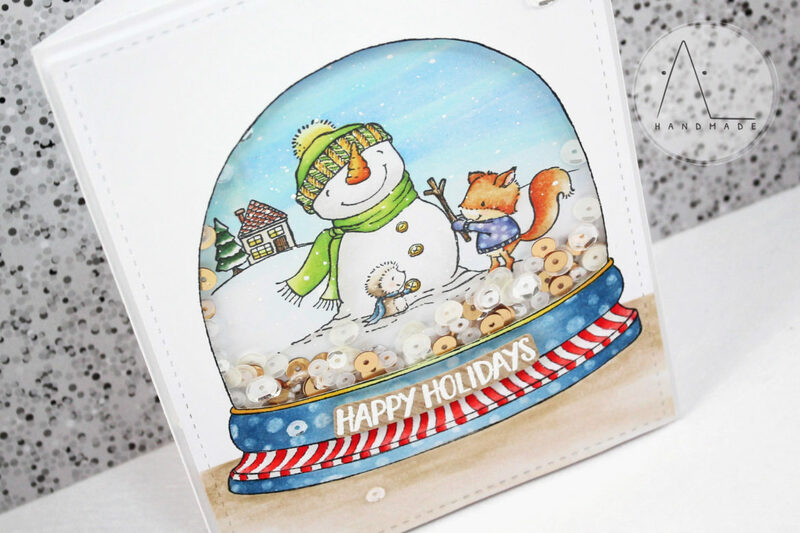 To finish, I heat embossed the sentiment in white on a stripe of kraft cardstock and added it to the base of my snow globe. This is such an adorable shaker card !